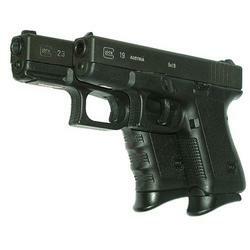 - The Gen4 has several features designed to satisfy the most demanding consumers. It is based on a full size G17/G22 MBS (multiple back strap) frame with a reduced short frame trigger mechanism housing. The multiple back strap system allows the user to change the circumference of the grip to fit their individual hand size. - The grip has three options a short frame version, medium frame or large frame that are easily changed and secured with a single pin. 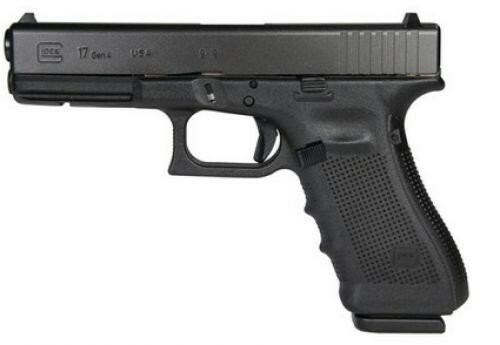 - The grip angle of the GLOCK Safe Action Pistol is not changed by back strap modifications. 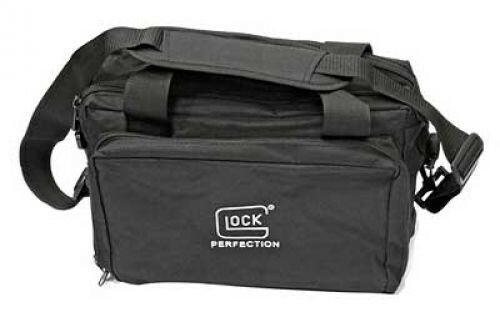 This ensures that the shooter does not shoot high or low when modifying the back strap or when shooting with a different GLOCK Pistol. 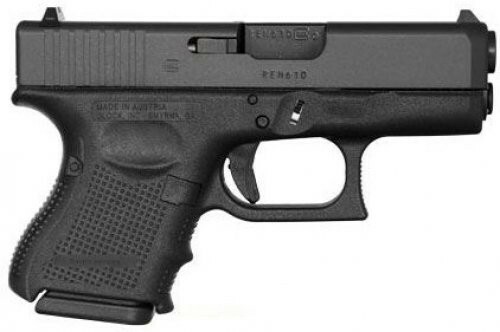 - The smallest back strap is integrated in the GLOCK MBS Frame reducing the trigger distance of the standard size frame by 2 mm. 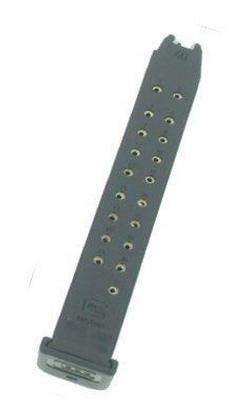 The medium back strap is a 2 mm back strap offering equal size of a standard frame. The large back strap is a 4 mm back strap. - The magazine release catch of the Gen4 is reversible and enlarged. 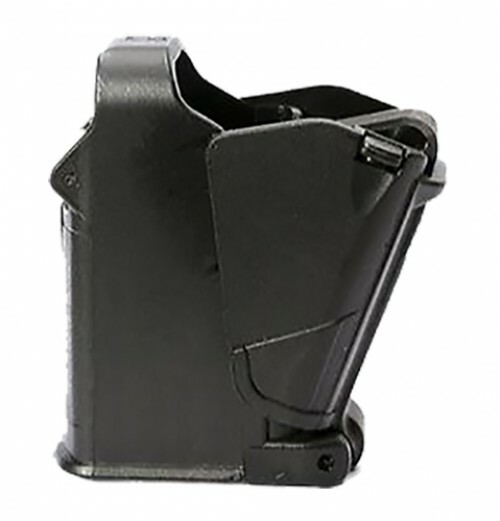 The reversible magazine allows users to switch the catch to the left or right side of the pistol with no additional parts. 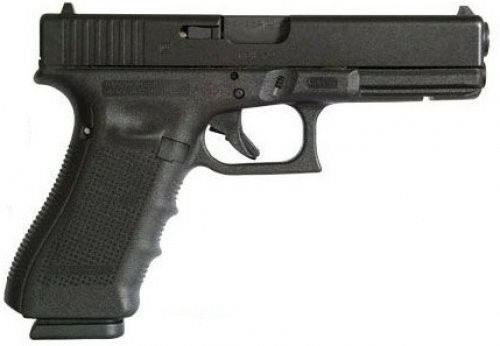 - Additionally, the Gen4 has a Rough Textured Frame (Gen4 RTF) surface designed to enhance grip traction and is present on the frame as well as the interchangeable back straps. 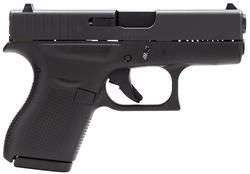 - Internally, the original recoil spring has been replaced with a dual recoil spring assembly. The dual recoil spring assembly noticeably reduces the recoil while simultaneously increasing the life cycle of the assembly. .